ITV in talks with Netflix? 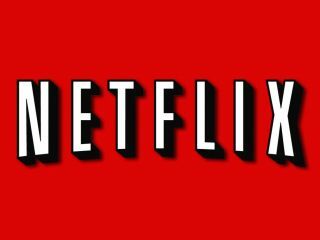 Netflix is gearing up for its UK launch by securing streaming deals, the latest of which is reportedly set to be with ITV. All the many and varied delights of ITV's archive could be making their way to Netflix UK, as discussions between the two companies are said to be 'advanced'. ITV already has ITV Player, an on-demand catch up service that it intends to start charging for in the new year, but the Netflix deal is apparently more focussed on older programming. Although two sources confirmed the existence of the talks to the Guardian, one warned that the deal is far from final and could yet fall apart. But it makes sense: "For Netflix a deal would mean a huge marketing partner to help its UK ambitions and for ITV it fits with their strategy of building pay revenue," one commentator told the Guardian. As well as ITV, Netflix is also reportedly wooing Channel 4, although sources say those talks are at earlier stages, as well as trying to nab first-play rights for Warner Brothers movies from Sky. It's all hotting up in the world of online streaming as Netflix begins snapping up rights ahead of its 2012 UK launch - its first official signing, MGM, was announced yesterday. What will the Amazon-owned LoveFilm's next move be?